Kuruvai is the major species pertaining to a particular cropping season exclusively practiced by Tamilnadu farmers. The other cropping season is Samba. The paddy cultivated in these seasons are named after accordingly. Hence Karun Kuruvai represents Kuruvai cropping season- the crop is sown in June-July or rarely in early August or later part of May. Karun Kuruvai is an important sub species of Kuruvai family. Karung kuruvai rice has got a “kayakalpam” property which will protect our body. 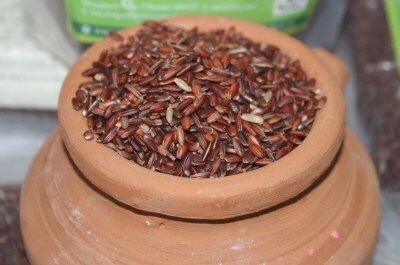 Siddha doctors use this rice variety to prepare medicines. It can be used as powder, Dosa, Idly, etc.,.